Profitability is the return on revenue before tax. NOPAT is the return on revenue after tax. NOPAT is an operating performance measure after taking account of taxation but before financing cost (i.e. interest is excluded). Compared to EBIT, NOPAT provides a more realistic performance measure of the actual cash yield generated from recurring business activities. NOPAT is EBIT adjusted for the impact of taxation. The purpose of this is to arrive at taxation on operating income which is then deducted from EBIT. Interest is totally excluded as the concept of separating finance from operations should be taken into account. The NOPAT % is the return on revenue. Or NOPAT % = NOPAT $ / Revenue. NOPAT is an after tax performance measure. EBIT is earnings before tax whereas NOPAT is earnings after tax. EBIT is the earnings amount used in Dupont financial analysis. 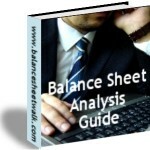 For more information on NOPAT and financial analysis see the Balance sheet analysis guide.